Today I have a very adorable, useful project courtesy of Fat Quarter Shop and Stacy Hsu. It's the Kitty Caddy Clutch Quilt Along. Only there's a catch; it's not a quilt. 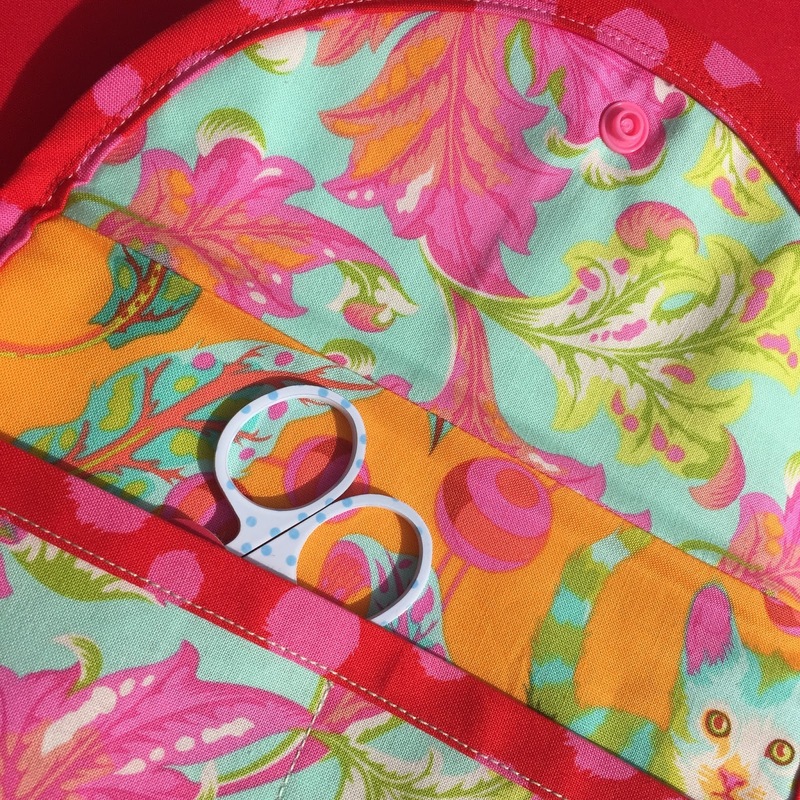 But it's very handy for containing your quilting necessities, so I'm going to overlook the technicality. You will too once you see how enamoring this feline is. What's that? You're a dog person? Fat Quarter Shop has you covered, because there's a puppy version too! Personally, I went for the cat, as my Tula Pink Tabby Road fabrics were crying meowing out to be used. Don't fret, I'll get you covered with the necessary supplies, pertinent links, and some helpful hints. First, grab your pattern. The YouTube video outlines the project details, so you'll want to check that out below. 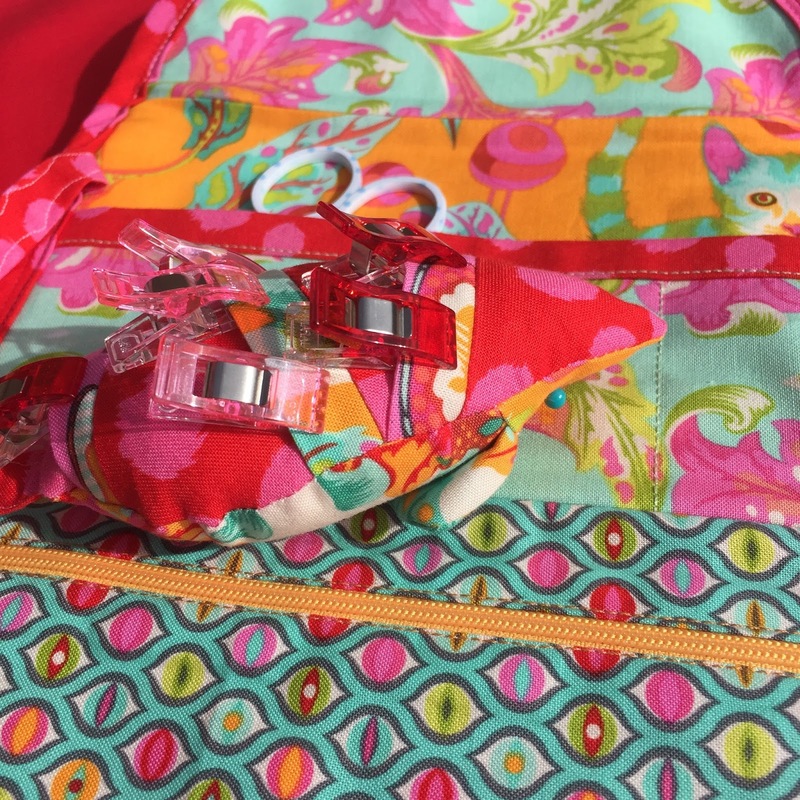 When choosing fabrics, keep in mind that piece N is going to be hidden inside the pocket, so use your favorite prints for someplace more noticeable. I'm a hand embroidery newbie, so I consulted Boho Embroidery from Lucky Spools. I grabbed my Aurifloss, embroidery needles, a Clover air erasable marker, and snips before setting to work on the face. Shown in the picture below is the Sewline Large Ironing Pad, which I was asked to review. It reflects heat so you can achieve crisp seams with less intense iron temperatures. It's great as a secondary ironing station or for travel, since it can be smashed into a bag, and laid flat again without incident. (Don't put it in the wash though.) It's so much better than those bunchy mats I've experienced at many guild workshops. 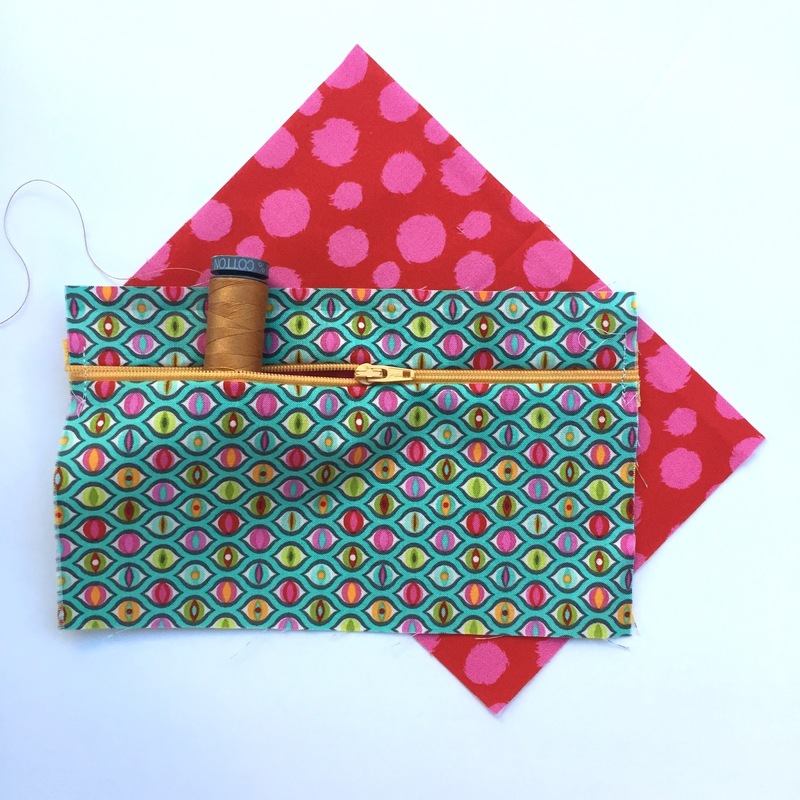 It's a great companion to the larger size Olfa foldable mat, whether you have a modestly sized crafting space at home, or want to be well-set for traveling to classes. Inspired by the Wonder Cushion tutorial, I sliced piece D of the mouse pincushion and added seam allowance. Then I cut 1" strips, folded them in half right-sides-together, and sewed the unit back together including the insertions so that I could use the mouse to store Wonder Clips. 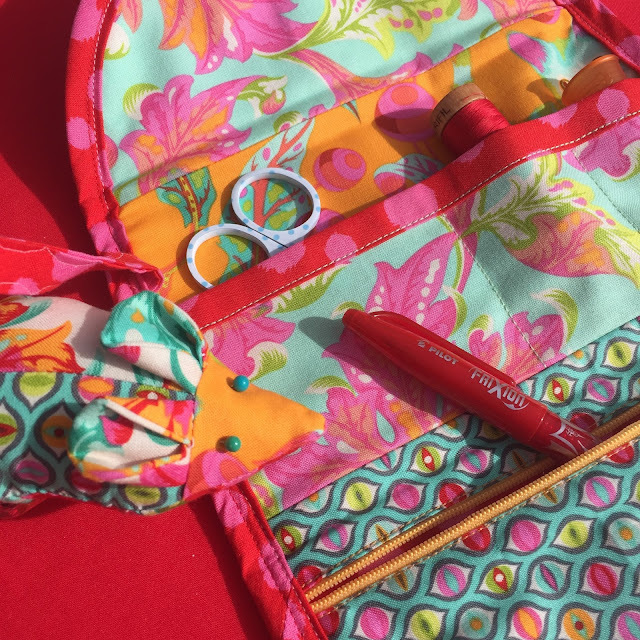 Even if you don't customize your pincushion, there's a zipper pocket and a trio of open pockets for storing all your treasured notions. 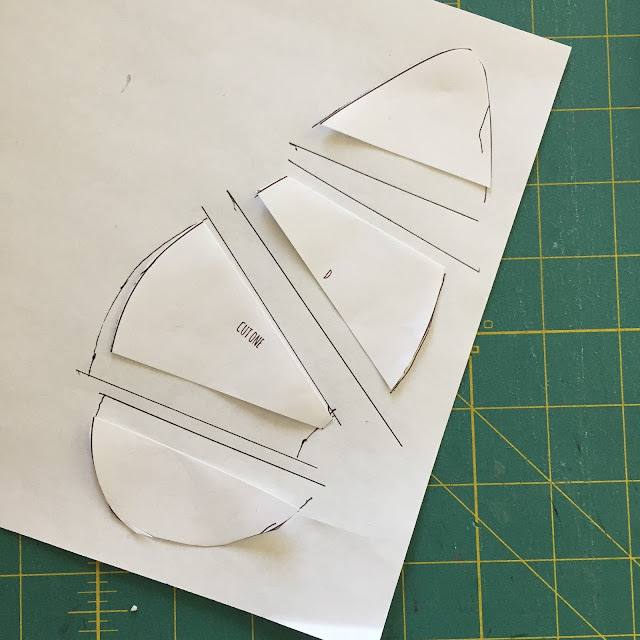 Make sure to cut your binding on the bias so it will cooperate around the curve. I tried out snaps for the first time with this project. Once you figure out which side goes where, it's actually really fun, and a nice touch when you don't need heavy hardware. 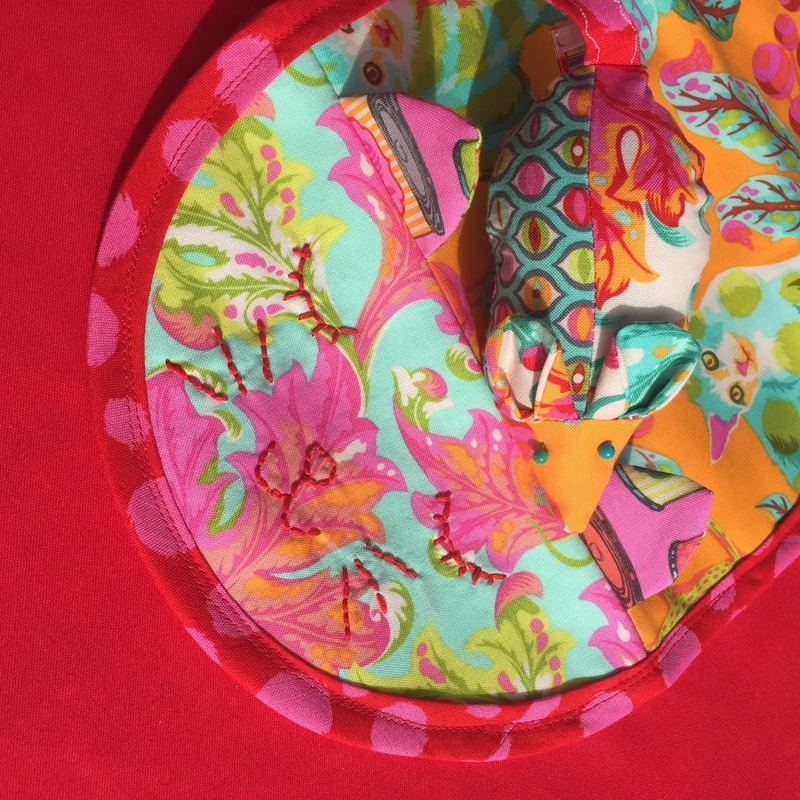 Share your own cute version with the hashtags #fqsquiltalong and #kittycaddyclutch. Thanks for the advice about which piece is more hidden--I'm not an experienced sewist and am always turning my head sideways like a puppy trying to figure that out so that I'm not disappointed! That mouse is just so stinkin' cute! Great projects! 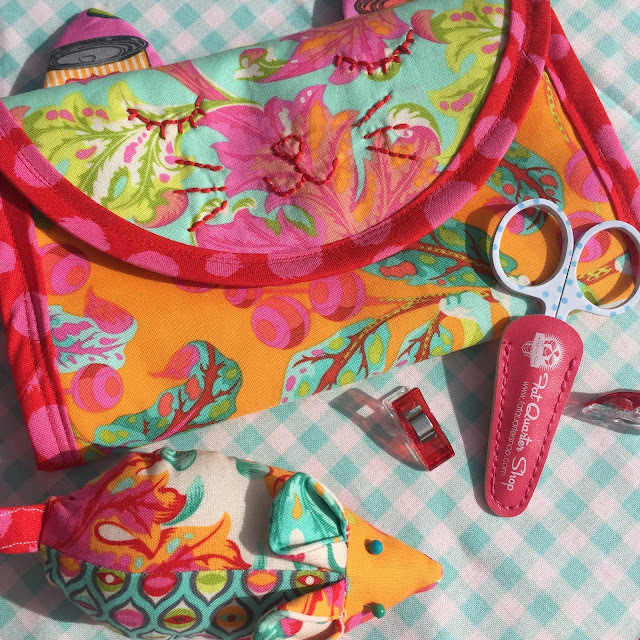 Love the little mouse Afton - he's so cute in those fabrics! 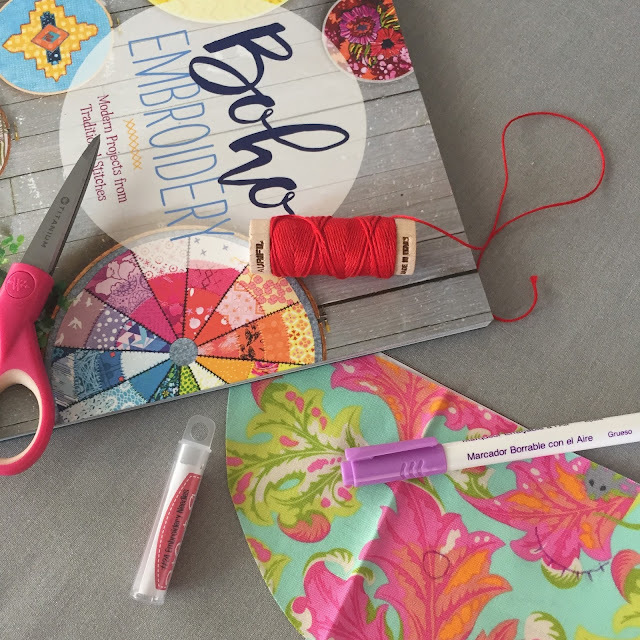 Thank you for sharing on Midweek Makers 100 today!